I have been spending so much time working on getting the house just right that I haven’t left a lot of time for cooking. Quick and easy is the name of the game and pastas are a great way to get dinner on the table in a hurry. 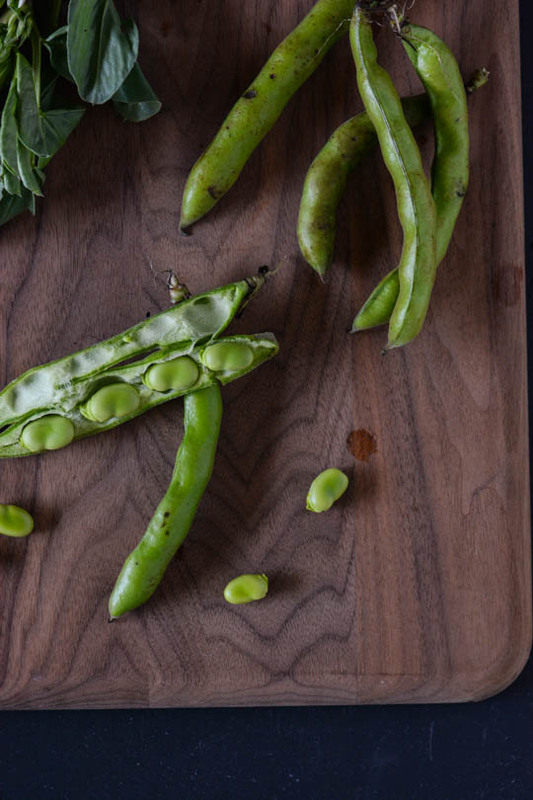 I took my first trip to the farmers market this weekend and found some lovely fava beans. One of the greatest things about shopping locally from local growers is that they can offer specialty and heirloom vegetables that you won’t find in commercial grocery stores. I find the best inspiration for recipes wandering the stalls and talking to growers. I also picked up some fava bean tops which are totally edible. I sautéed them briefly with some shallots, garlic and lemon. 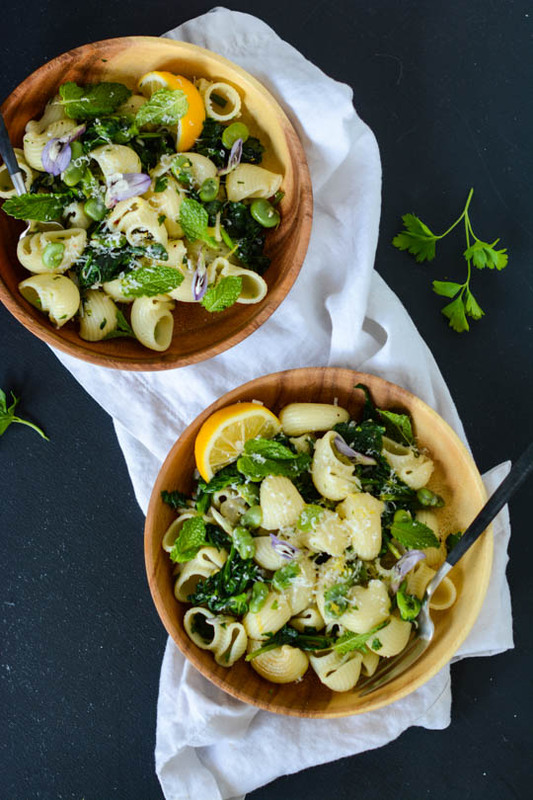 If you can’t find fava tops, spinach or chard are perfect substitutions. 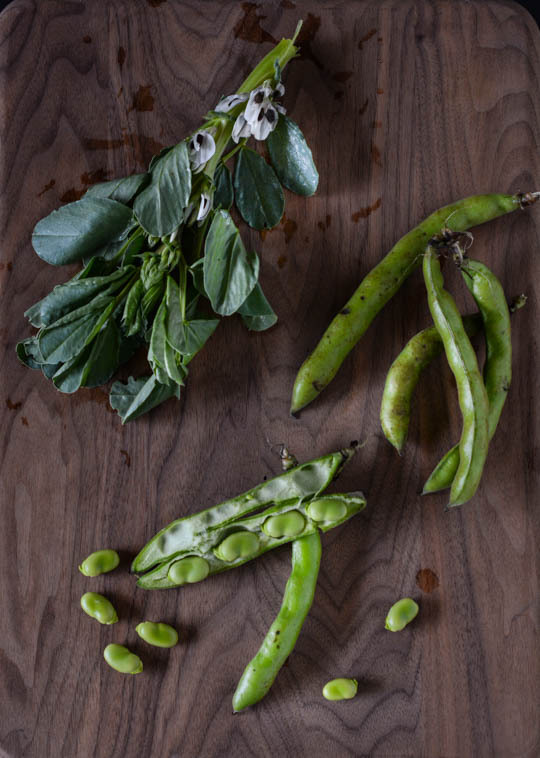 The beans themselves take a bit of extra work but they are one of my very favorite Spring vegetables. You need to shell the beans, quickly, blanch them and then peel them out of their tough outer skins. 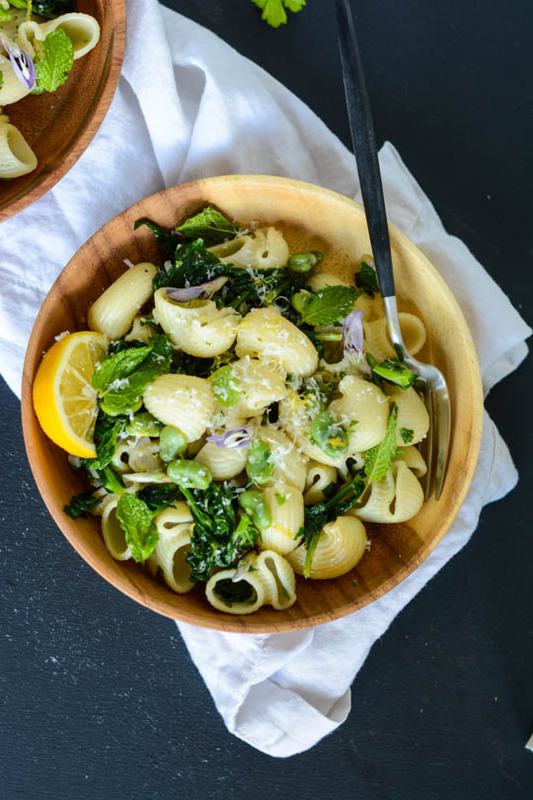 To make this dish vegan substitute the parmesan with some nutritional yeast. I finally managed to fill up my new bookcase in the bedroom and I’m really happy with the way it turned out. 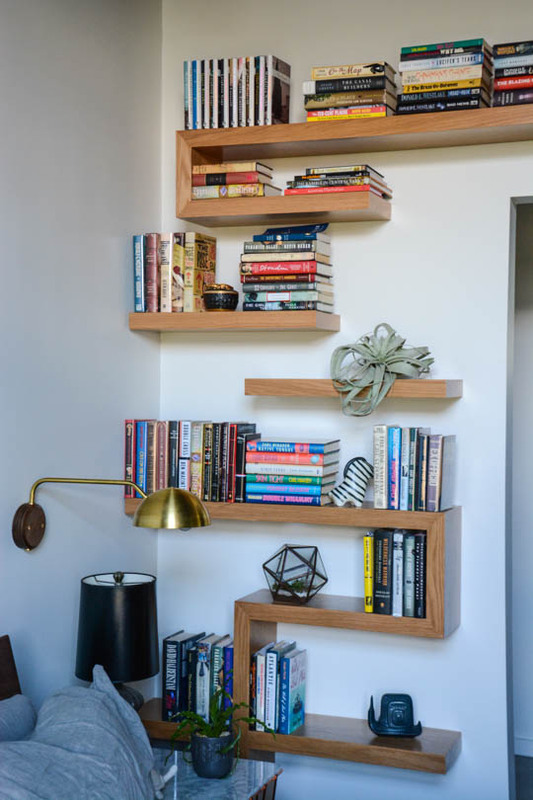 I was able to place a significant amount of books but wanted to make it look decorative as well. I put some of my favorite ceramic pieces and I found this beautiful large Tillandsia to add a bit of green. 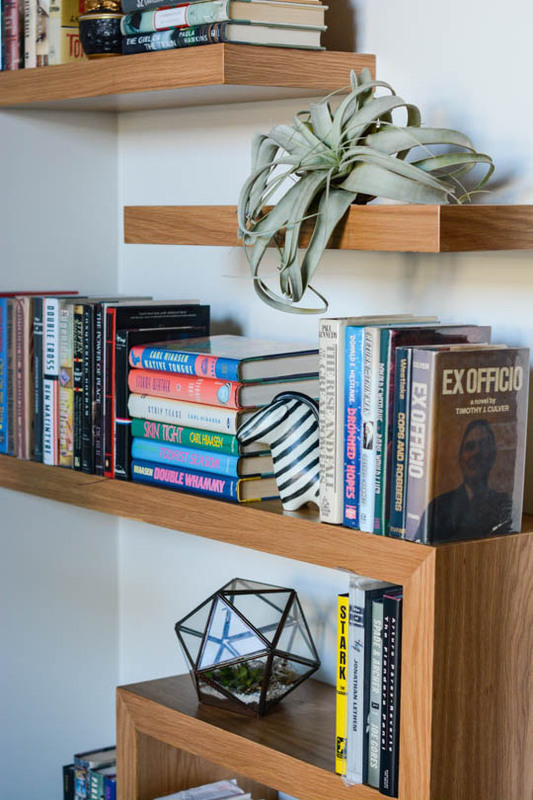 I have an even larger and I hope more spectacular bookcase going into the living room this week and I can’t wait to show it to you all! Fill a large bowl with ice water. Bring a large pot of salted water to a boil. Add the fava beans and cook 30 seconds. Remove the beans with a slotted spoon and add to the bowl with the ice water. Let cool for about 5 minutes and then drain. Peel the skins off the beans and set aside while you prepare the rest of the dish. Add the pasta to the boiling water and cook as the label instructs, reserving about 1½ cups of the cooking liquid, then drain the pasta. Heat the olive oil and shallots over medium heat and cook for 2 to 3 minutes until the shallots have softened slightly. Add the garlic and red pepper flakes to the pan along with the fava greens and a few tablespoons of the cooking liquid. Cook until the greens are slightly wilted. Add the favas lemon zest and the lemon juice and ½ cup of the reserved cooking liquid. Add the pasta to the sauce and cook until everything is heated through and well combined. Taste the mixture and season with salt and pepper and add more lemon juice if desired. Serve with a sprinkling of parmesan cheese and the fresh herbs. Thanks for sharing this scrumptious recipe, Tina. 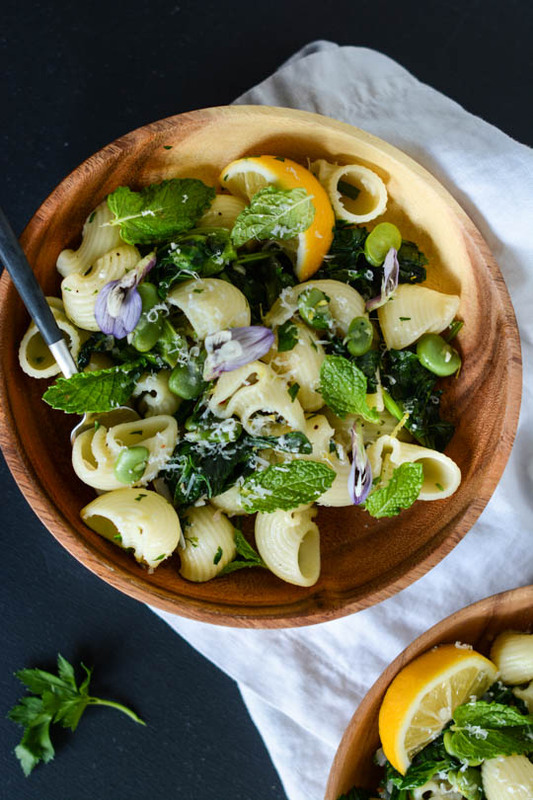 This pasta dish was full of flavors while being so nutritious at the same time. However, I used fresh home made pasta instead of dry packs of pasta that you stated in your post because I believe fresh pasta truly makes a world of difference to the texture and flavors within a pasta dish.